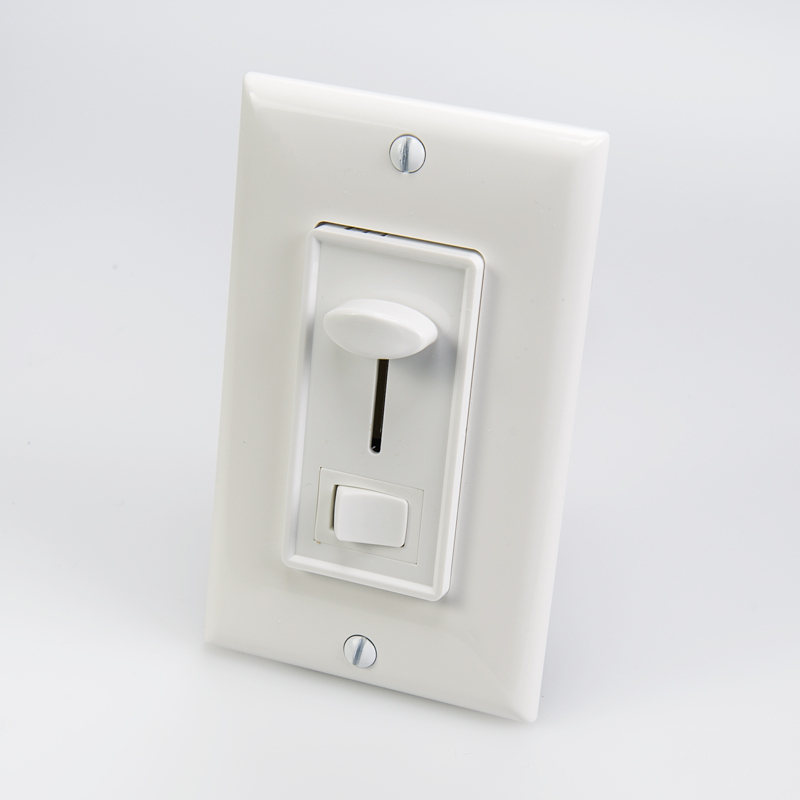 The dimmer part of the wall switch does not work. The led bar and the power supply work fine and the on/off switch works. 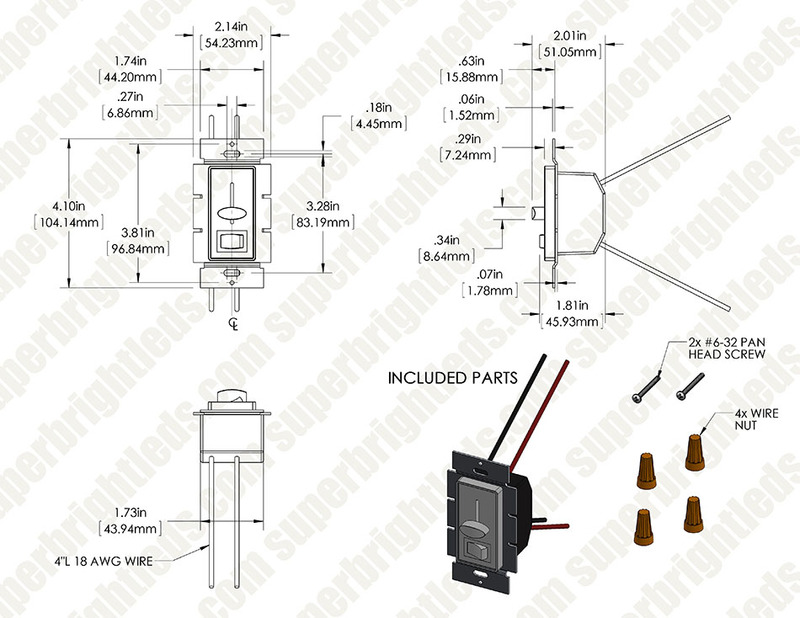 I do not want this on the review page but please let me know if I am doing something wrong with the dimmer. Is there a polarity problem? 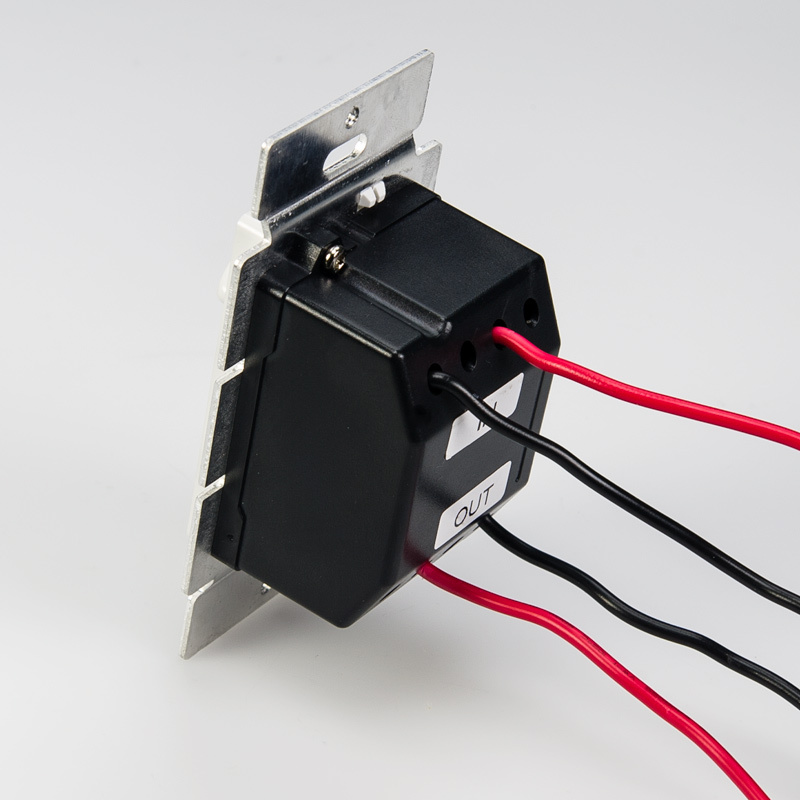 This dimmer is a low voltage unit, and has to be connected to either 12 or 24 volts DC. It will not operate on 120 volts AC power. Bought this hoping I could put it in a standard wall box. I didnt realize that I also had to have a DC Driver in line in order to make this dimmer switch work. So I am now testing to see if I can fit both components into an extra deep switch box, the blue plastic kind ( 22 cu in) from Lowes. 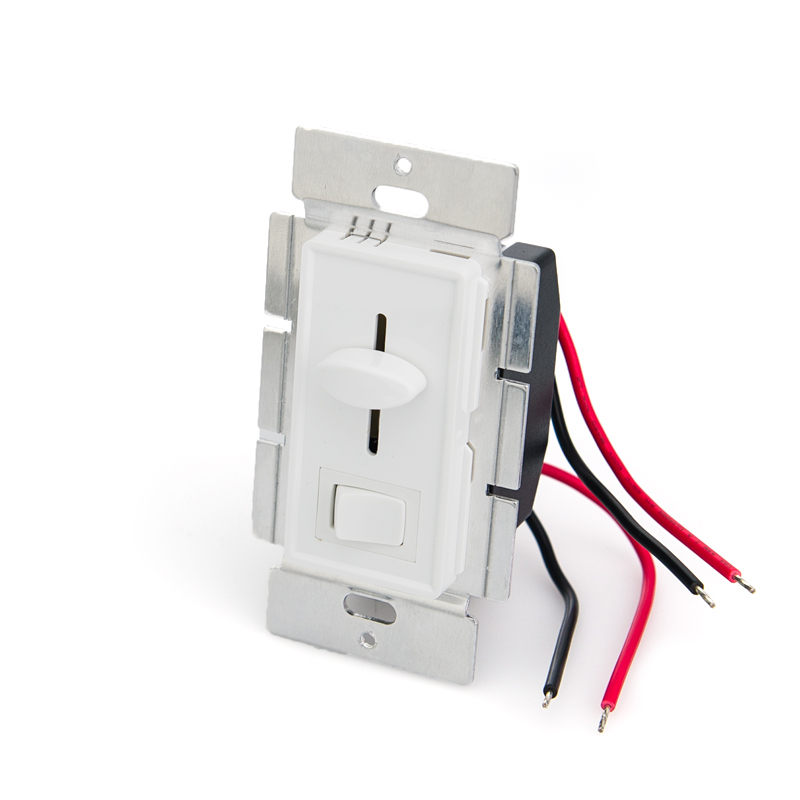 So, I ask, what's the purpose in having a dimmer switch that fits into a wall box if you still need to add another component? NOTE: Do not connect a power supply to this product within the same electrical box. You should never combine low voltage and high voltages in the same electrical box unless a NEMA approved low voltage/high voltage divided box is used. The idea is good but I had a defective one that I had to replace. The replacement came quickly but I still had to use my time to go to another town to replace this at my cost. Hard to make a profit like that. Overall the power supply and other products are great. Has a slightly cheap feel to it, but then again, it is cheap! Does the job just fine.